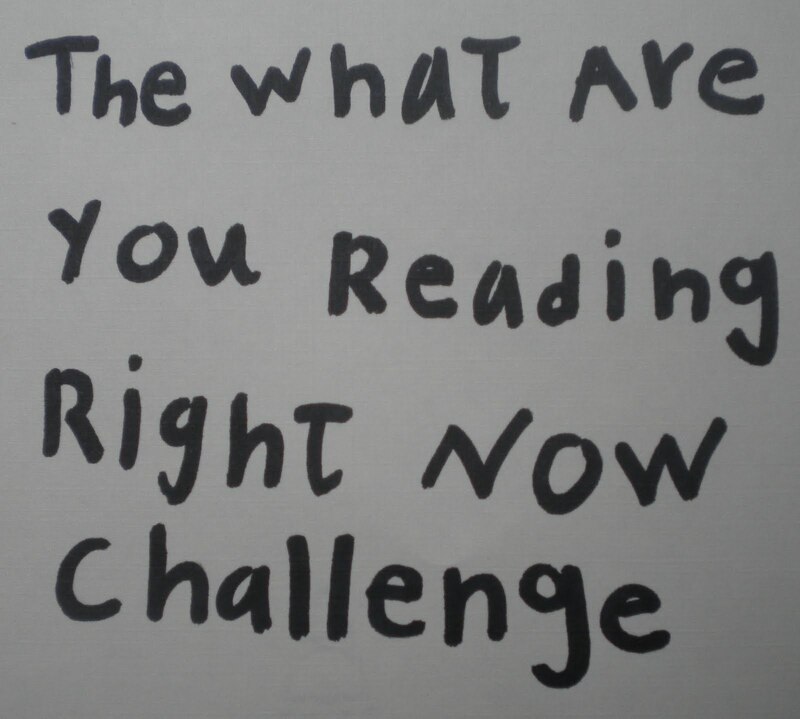 So, What are you Reading Right Now? And when you are done stop by and tell us more about the book: was it a Really, Really, Really Good Book; or have fun with the First Line/Last Line Challenge; or if you are still basking in National Poetry Month perhaps you might like to Haiku Your Book! To check out most of last year's challenges, click here --2011's challenges are listed on the left side of the website. Most of the challenges are still open, so take as many as you like!! We love it when readers get hooked ;) And remember, if you have an idea for a challenge, email us we'd love to hear from you! And don't forget this week is Choose Privacy Week --learn all about it! 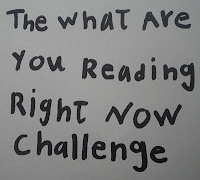 Title of Book/Magazine, Author, and your thoughts on what you are reading. I am just about finished with Hector and the Search for Happiness by François Lelord. So far a yummy little read --even better since the book arrived in the mail from a dear friend who is due with her third child any MOMENT! A great way to be happy, think about a baby being born!! I have several other books going (as usual) I will post more, but it is simply too late to type more now and I want to finish my book tonight too!! Just finished My Life with the Saints by James Martin, SJ – for me, a good read for the new life of spring and the Lenten season (I have been soaking this book in for awhile!) Martin provides a down-to-earth, humorous at times, approach to holiness. Just began Major Pettigrew’s Last Stand by Helen Simonson (recommended by a friend) which is about the growing relationship and love between a widower and widow; a Pakistani and Englishmen. Considering the world scene right now, a timely read about the how alike we humans are and the goodness we all share if we just “open” our eyes. Right now I am reading Darkwing by Kenneth Oppel. I just finished Silverwing, Sunwing and Firewing, all wonderful stories about a little bat and his brave adventures. I'm reading Open, an autobiography of Andre Agassi. Recommended by (Uncle/Brother) Jeff Thresher. A surprising look into the formation of the tennis great. It's a good book about Toot and Puddle's cousin who LOOSES a tooth and then looses and finds the lost tooth... fun! Right now, I am in the middle of "Looking for Lovedu" by Ann Jones (very interesting account of a middle aged woman driving through Africa to find a tribe lead by a woman rainmaker) and "The Bingo Palace" by the awesome Louise Erdrich. 3 things: 1. For my morning meditation, BEAUTY by John O'Donohue. A series of "icons' "Rediscovering the true sources of compassion, serenity, and hope". 3. When I was thinking of poetry collections to recommend, I kept hearing from my childhood, poems of Americana. So I went looking for a collection of such and found (TA-DA!) A PATRIOT"S HANDBOOK -- Songs, Poems, Stories, and Speeches Celebrating the Land We Love - Selected and Introduced by Caroline Kennedy. It's wonderful!!! Something to read in pieces and odd moments and on special occasions. I'm already planning to give a copy to my children as a 4th of July gift, to share with their children and their children's children from this day forward. I'm currently reading Cross Fire by James Patterson. I'm almost finished reading the entire Alex Cross series. Arrows of the Queen, by Mercedes Lackey. Despite the fact that Mercedes Lackey is one of my favorite authors and this is one of her oldest books, I haven't read it before because my library didn't have the trilogy. So far I am enjoying it, as I have all of her Valdemar books - the great thing about a lengthy series about a fictional world is that it starts to feel very real. I am reading The savage detectives by Roberto Bolaño. Awesome read so far, recommended to me by a patron. Can't get any better; this is the stuff that happens in a bricks and mortar social network. On the very first page of part one "All words are pegs to hang ideas on," Henry Ward Beecher. So far almost every page has highlights --not a library book ;) I bought this one! (I am on an EM Foster kick and not really enjoying it. Just finished: Where Angels Fear to Tread, A Room With a View, and Howards End). Based on how much everyone loves this book, I am hoping for the best. The Big Sister is BURIED in The Penderwicks by Jeanne Birdsall --thanks to a BFWP reading family's reccomendation. The Little Sister is listening to Mrs. Piggle-Wiggle by Betty MacDonald. We are reading aloud A Swiftly Tilting Planet #3 in Madeleine L'Engle's Series. The Dad is reading A Book on Angling by Francis Francis --a precious 1920 1st edition. The Mom is reading her first Graphic Novel, Stitches by David Small --very intense so far, terrifyingly beautiful. And a whole PILE of Children's and YA Literature --trying to keep ahead of The Sisters, this is becoming impossible! @menelik SImply BRILLIANT! "Can't get any better; this is the stuff that happens in a bricks and mortar social network." The library, a bricks and mortar social network, simple lovely! Akiko is a 10-year-old heroine who finds herself on unusual and life-changing adventures that are not things she seeks for herself. She faces them, however, with the help of some interesting and odd creatures along the way. I was first introduced to Akiko because her creator, Mark Crilley, came to my grandson's class during National Book Month as surprise author to read to and draw for them, and to sign books. When Joseph came home all excited and asked to get a book, his Mom said, "Sure." and gave me a call. What she said was, "Don't we know a Mark Crilley? How many can there be?" So we googled him. WOW! I was first introduced to Mark Crilley as a classmate of one of my other daughters; and as a wonderfully whimsical, creative, bright student who was in one of my language arts classes in junior high. I kept track of him for a while and then we both moved on. That was a long time ago. I was delighted with him then, and have renewed my delight through his work. Over the winter the Big Sister experimented a bit with drawing Manga Cartoons --she even ordered a special set of pens-- we found some "How to Draw Manga" videos on YouTube by guess who? Mark Crilley! Click here for the videos. They are wonderful! Now we need to get the book!